iLotto is an online lotto service that offers daily games where you can win different prizes such as iPads, iPhones and MacBook computers, as well as cash prizes too. Nothing extraordinary about this you might think, but the fact that you are able to do this without paying a penny is something that will excite a lot of lottery players. There is a daily game run by iLotto, and they also have a mega drawing each week for a $1,000,000 (1 million dollar) jackpot prize. You are able to participate in all of these games without paying a penny. iLotto.com does have a premium membership available, and for this you just pay a minimal monthly fee ($19.99 for US and Canadian residents, and £9.99 for UK citizens). A premium membership at iLotto will give you some benefits such as being able to automate your number submission each day for the daily games, and also every week for the big million dollar jackpot draw. So you will not be required to log into your account to submit the numbers, it will be done for you automatically. The premium membership does not give you any additional benefits as far as winning any of the prizes available. It just allows you to automate the number submission, but you get the same chances of winning with a free membership as you do with a premium membership. 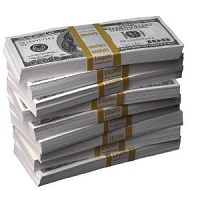 With both a free and premium membership you will have 1 submission into the weekly million dollar game. But you can also exchange points that you may have won from your daily games for additional ticket entries into the big jackpot game. It will cost you 5 points for every additional entry into the big 1 million dollar weekly jackpot drawing, so the more points you win in the daily games, the more chances it will give you for the big win. 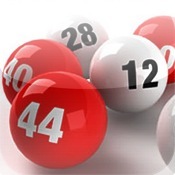 If you have a free membership then you will be required to log into your account and manually trade your points for the applicable number of additional jackpot game entries. With a premium membership you are not required to log in to trade your points for the jackpot entries, it will be done automatically for you. So the benefits of the premium membership is basically that it frees you up from the need to have to log into your account at the right times to submit your numbers, so it is very much a hands-free event with the premium membership. 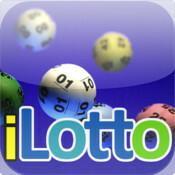 You can start playing iLotto for free today. It will only take you about 5 minutes to register your free account, and if you did ever want to upgrade to the premium membership then you can do so at any time from your members area. Once you have registered your account you can then enter your numbers ready for the first game. The drawings are done on a daily basis at 10pm GMT. If you win you will be notified immediately after the drawing by email. So you can play iLotto daily for free and stand the chance of winning any of the daily prizes, as well as the weekly million dollar jackpot.